September 26, 2016 Students learned about molluscs – from pearl oysters to snails to deadly cone shells to octopuses to nautiluses – in science classes today for grades 1-2 and 3-5. Dr. Lou Ellen Kay, our Head of School, showed videos and brought in shells she collected on beaches from Hawaii to Asia and Australia. The students passed around shells of diverse sorts, seeing the great diversity in shell structure, as well as evidence of lethal damage from predatory molluscs. 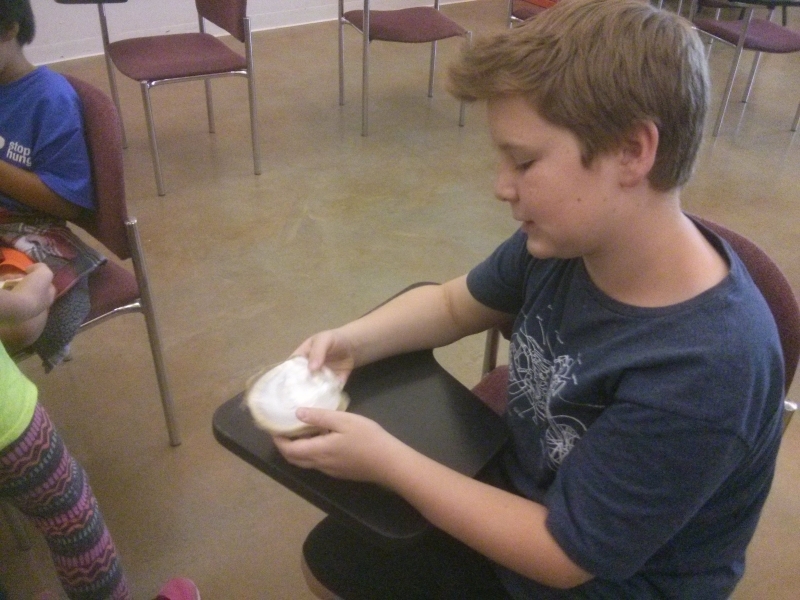 One student is holding a pearl oyster (clam) shell.